There’s nothing better than coming home to a big bowl of beefy chili come winter. This slow cooker version uses root vegetables for bulk and some added umami-rich boosters for extra flavor. Whole30 compliant and delicious. 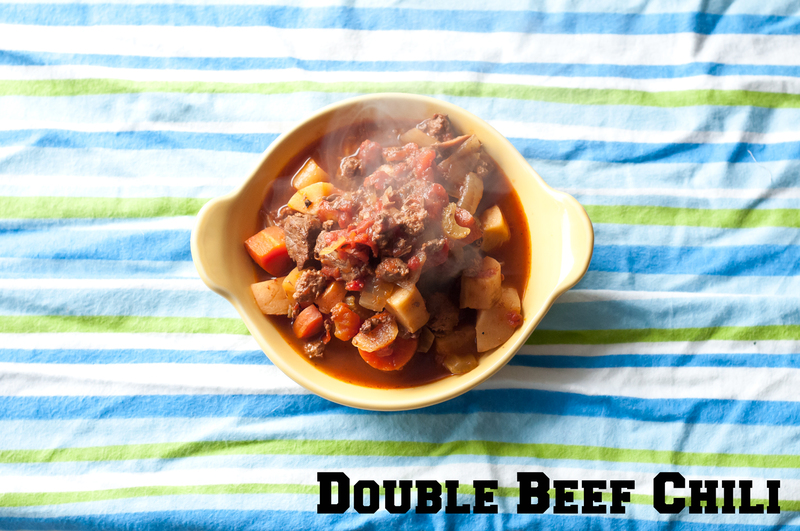 Brown your beef(s) and add to a 6 quart crockpot when done. Chop the parsnips, carrots, onion and celery into roughly half-inch pieces and add to the pot when done. Chop the garlic and add. Add the rest of the ingredients and stir to combine, adding a can of water if your mixture looks dry. Set on low for 8 hours and go to work. Come home and enjoy!